Please take a moment to meet our sponsors . 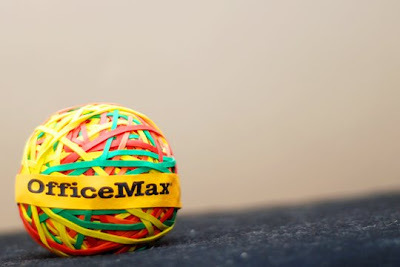 . .
Office Max is your go to store, not only for office items for the workplace, but for home office equipment, school supplies, computers and accessories, digital imaging products, custom printing services, and more. In changing with the times, the selection has come to include collections for the home office such as Peter Walsh's [In]Place System and the designer DiVoga home office products. Office Max offers Free Shipping on orders $50 or more within their delivery area. HipFusion Designs offers unique handcrafted precious metal clay and dichroic glass jewelry for both women and men. Every piece offered by the artist reflects her eye for style. You can find HipFusion Designs jewelry online at www.hipfusiondesigns.com or locally at select jewelry boutiques on the East coast. Check out the artist's nationally recognized personalized precious metal clay jewelry to treat yourself to something special or find a perfect gift for the approaching holiday season. One lucky reader will win products from the DiVoga Home Office Collection AND a HipFusion Designs GC! Winner can apply $100 to any HipFusion order. These are the 8 blogs participating in this giveaway event. You can gain additional entries for this contest by entering on all 8 blogs. This giveaway is open to U.S. addresses only. You do not need to be a blogger to enter, but you must have a valid email address and be age 18 years or older. If you enter anonymously and do not include a valid email address in your comment entries, we will not be able to notify you should you win this random drawing. 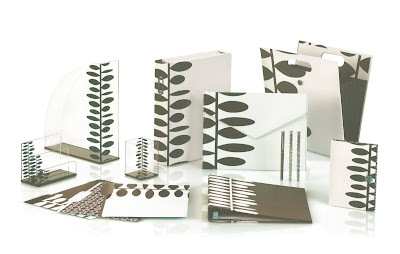 1) Take a look at some of the other DiVoga products offered at Office Max. Then tell us what one item you would like to own. 2) Sign up for the HipFusion Newsletter. Then leave a comment telling us what email you used to sign up. You MUST do BOTH to be eligible to win this contest, but you will receive one entry for each mandatory entry provided you leave a separate comment for each. 1) For an extra entry, follow Office Max on Twitter. Then leave a comment with the link to your Twitter profile. 4) For 10 extra entries, blog about this contest linking back to this post. Then come back here and leave TEN separate comments with the link to your blog post. 6) Tweet about this giveaway linking back to this post. Then come back here and leave the link to your tweet in a separate comment. You may do this as often as you wish until the end of the contest. Now go visit the other participating blogs to obtain additional entries for this contest! This contest will be closed on Monday, August 24th, 2009 at 11:59pm EST. A random number drawing will be held shortly after. The winner will be announced here and will be contact via email or through their blog. If the winner does not respond within 48 hours, a new number will be drawn.